SoftPlanet makes it possible for everyone to get free Horizon download directly from our servers. There is no registration needed for downloading. Horizon 2.7.9.0 is probably one of the most up-to-date and innovative Xbox 360 modding tools available nowadays. It allows you to get 100% completion, limitless health, infinite ammo, infinite bank accounts and many more features for your favorite games. The list of available features is almost endless. The latest 2.7.9.0 version does not have any major changes. The only difference between this and the previous one is that a Yu-Gi-Oh! Millennium Duels tool is added. 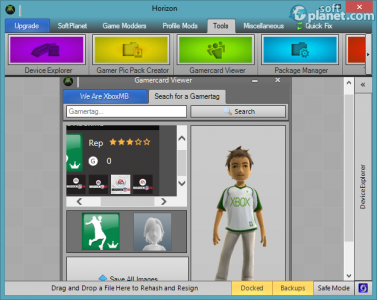 Horizon is a software tool, which is designed to modify files saved in the Xbox 360 memory. It provides you with the ability to do things, which take too much time and are not usually available. For instance, you are able to increase your game score, unlock all your avatar awards, unlock items, get infinite health, change avatar colors and so on. 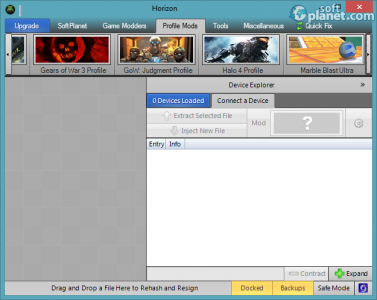 In my opinion, Horizon is probably the best Xbox 360 modding tool available on the market. It comes with 23 different game save editors ranging from Halo to DiRT. 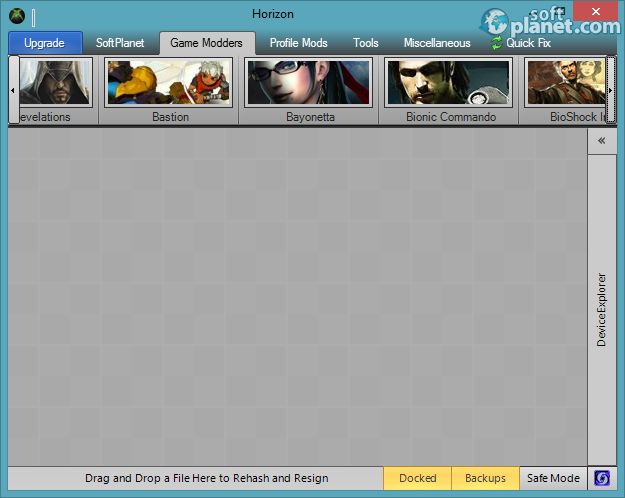 It provides you with a very long list of features like Avatar Award Unlocker, Game Adder, Achievement Unlocker and so on. 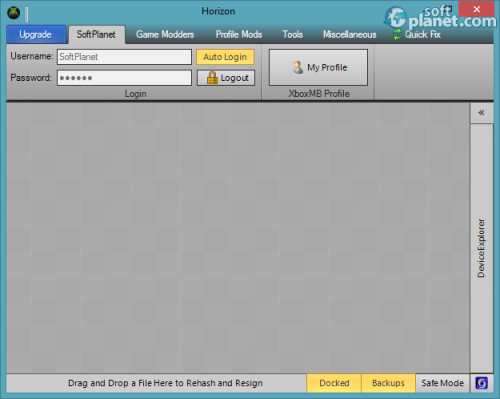 Our security scan shows that Horizon is clean from viruses. The current version of Horizon has been scanned by our system, which contains 46 different anti-virus algorithms. That ensures that Horizon 2.7.9.0 is 100% safe for your computer.